New Liturgical Movement: Should a Priest Introduce the Usus Antiquior to a Congregation That Doesn’t Request It? Should a Priest Introduce the Usus Antiquior to a Congregation That Doesn’t Request It? Let’s begin with the most obvious point, which nevertheless still needs to be said. As per Summorum Pontificum, if the faithful themselves request the traditional Latin Mass, the pastor must provide it for them, or at least make arrangements for another priest to provide it. He is not allowed simply to say no. He might say “yes, but first I have to learn it” (and then the laity, already prepared, will tell him that they will cover all his expenses); or “yes, but at this difficult juncture — with the new elementary school, the prison ministry, the nursing home, and the recent death of the vicar — I won’t be able to learn it, so I will ask around and try to get a Mass started for you next month.” And of course, the pastor will always make such responses with a smile and gratitude for the devotion of his faithful to the rich traditions of the Catholic Church. But what about a situation where the people are basically content with what they’ve got? They are accustomed to the “Ordinary Form” and know nothing else; they are not asking for anything else. Let’s even say, for the sake of argument, that the parish is on the upper end of the Ratzingerian scale and is already putting into practice the ideals of the “ROTR,” such as ad orientem, use of Latin and Gregorian chant, fine sacred music, beautiful vestments, kneeling for holy communion, and the like. Is there anything “wanting” to such a community? Is there any reason for the pastor himself to introduce the usus antiquior? Yes. There are two basic reasons to do so. Every priest I know who offers the traditional Latin Mass — and I have spoken with hundreds over the years — experiences in a powerful, almost visceral way the awesomeness of the Holy Sacrifice of the Mass and of the mystery of the priesthood on account of many elements in the liturgy that were unfortunately removed in the reforms of the 1960s: the humble approach to the altar at the beginning, which is saturated with the humility and piety that befits “being about the Father’s business”; the many times the priest must bow or genuflect, the many kissings of the altar and signs of blessing; the exquisite attention to meaningful detail in one’s posture, attitude, and disposition; the profound prayers of the Offertory; the immersion into silence at the Canon, so piercingly focused on the mystery by which the immolation of Christ is renewed in our midst; the care that surrounds every aspect of the handling of the Body and Blood of the Lord, from canonical digits to thoroughgoing ablutions; the Placeat tibi and Last Gospel, which bring home the magnitude of what has taken place: nothing less than the redemptive Incarnation continuing in our midst. How could this not hugely benefit a priest in his interior life, and lead him further along the path of his vocation and his sanctification? The second reason for a priest to make the usus antiquior available even when his congregation has not requested it is for their spiritual benefit. One of the priests interviewed in the aforementioned article points out: “Ninety percent of Catholics today have had no experience of the Church before Vatican II. They don’t know about its traditional art, architecture, or liturgy.” As Joseph Ratzinger lamented more than once, there was a rupture if not in theory, then certainly in fact. Catholics were separated from the traditions of the Church; indeed, adhering to traditions came to be seen as a sort of infidelity to Vatican II and to the new spirit it ushered in, which was supposed to newly engage modernity and bear the harvest of a new evangelization. This does not seem to have happened, or not with the fullness that had been desired and promised. If anything, it tended to encourage skepticism towards anything preconciliar and a promethean temptation to refashion the Church according to the latest fads and theories. This can only be a “win” for the faithful in the parish, stretching them in good ways. It will develop new habits of meditative and contemplative prayer; it will strongly confirm the dogma that the Mass is a true and proper sacrifice; it will intensify their adoration of the Most Holy Eucharist and their veneration of the ministerial priesthood (which is not a species of clericalism); it will open their minds to a wider world of Catholic culture and theology; and last but not least, it will support the effort to celebrate the Novus Ordo in a more traditional manner by showing where the ROTR paradigm came from in the first place — in other words, why we do certain things this way rather than that way. All the parishes. Not many — all the parishes, because this is a gift of God. He offers these riches, and it is very important for new generations to know the past of the Church. This kind of worship is so noble, so beautiful — the deepest theologians’ way to express our faith. The worship, the music, the architecture, the painting, makes a whole that is a treasure. The Holy Father is willing to offer to all people this possibility, not only for the few groups who demand it, but so that everybody knows this way of celebrating the Eucharist in the Catholic Church. One question I am often asked by laity and clergy is: “How should the Extraordinary Form be introduced where it has not yet existed?” I think what they mean is largely practical: when, how often, and with what preparation or accompaniments. My advice has always been to do it gradually: to start quietly (I mean, without fanfare) by scheduling a monthly Mass; then, once this Mass is known to be celebrated and there is some congregation for it, to offer catechesis to the rest of the parish in homilies, and a kindly invitation. After this has gone over well and has become an accepted fact, the frequency can be increased to once a fortnight or once a week. At this point, the priest reaches a crossroads: if he judges that the community will respond favorably and his head will not be handed to him on a platter at the chancery, he could celebrate the usus antiquior several times a week. I have seen regular parish schedules where it is offered as the daily Mass on Tuesdays, Thursdays, and Saturdays, or where there is a Sunday Mass and a weekday Mass. To get even more particular, it has often worked well to introduce a traditional Latin Mass on Saturday morning, because this is a “low traffic” time of the week, and least likely to ruffle feathers. In some parishes there isn’t even a normal Saturday morning Mass, so nothing has to be swapped out. 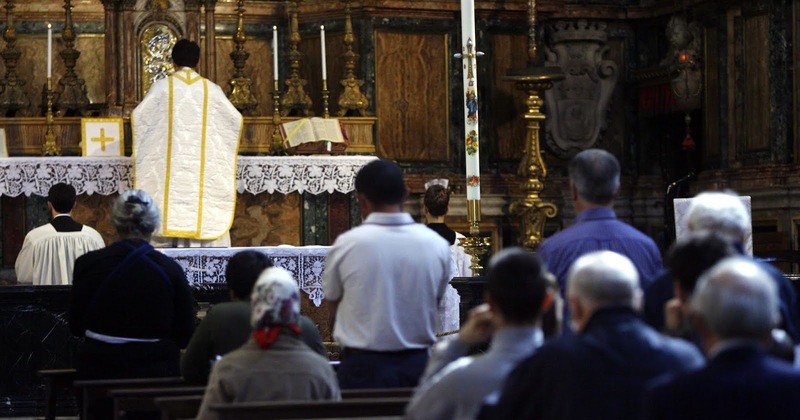 Another possibility is First Fridays and/or First Saturdays, because these are well-loved but traditional devotions, and the Latin Mass can be viewed as their natural complement: it sounds like a special thing being done for a special devotion. Another pastor I know introduced a monthly evening Mass just for men and boys, as part of a program of adoration, rosary, Mass, and fellowship; he will soon introduce a monthly evening Mass just for women and girls. Introducing the usus antiquior on Sundays or Holy Days is at once the most important step and the most difficult. It is important to do so eventually, because only in this way can the treasure of the old liturgy reach the largest number of faithful. It is obviously difficult because of the need (in some places) for many Masses offered by a single priest, as well as by the challenge of an already-existing schedule that parishioners are loath to see modified. Still, even here there can be a way forward. For example, if there is already a quiet early morning Mass, one might convert this into a quiet Low Mass, being careful to repeat the readings from the pulpit in the vernacular before the homily. If there is a “contemporary youth Mass,” why not try the wild and crazy New Evangelization experiment of substituting a Gregorian Missa cantata for it instead? A lot of young Catholics are bored or turned off by the pseudo-pop music and the implicit dumbing-down that liturgical planners assume to be necessary for the smartphone generation. As always, some youths might stop coming, but others would find in it a radically new experience that appeals to them in mysterious ways. New people would come — and bring more people. It could end up being quite successful. In all of this, I am painfully aware of the reality on the ground. There are many priests who feel that their hands are tied on account of the hostility, on the part of the bishop, the chancery, the presbytery, or the parish, towards anything traditional. This is a deplorable aspect of our decadent situation, but it is not a dead end. In such cases, a priest still profits from learning the usus antiquior, as he can offer it privately once a week on his day off. 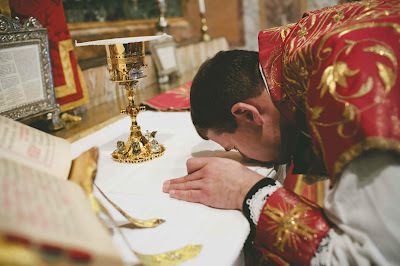 This will be to his own spiritual benefit for all the reasons already given, and, by connecting him to a wealth of tradition, influence for the better his understanding of what liturgy is and how it should be celebrated in any rite or form.